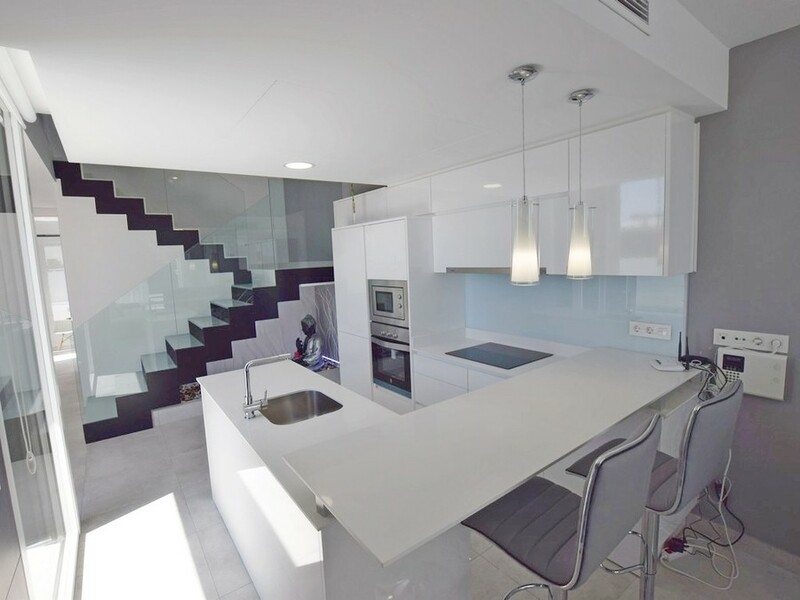 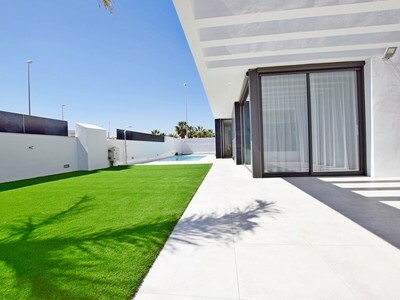 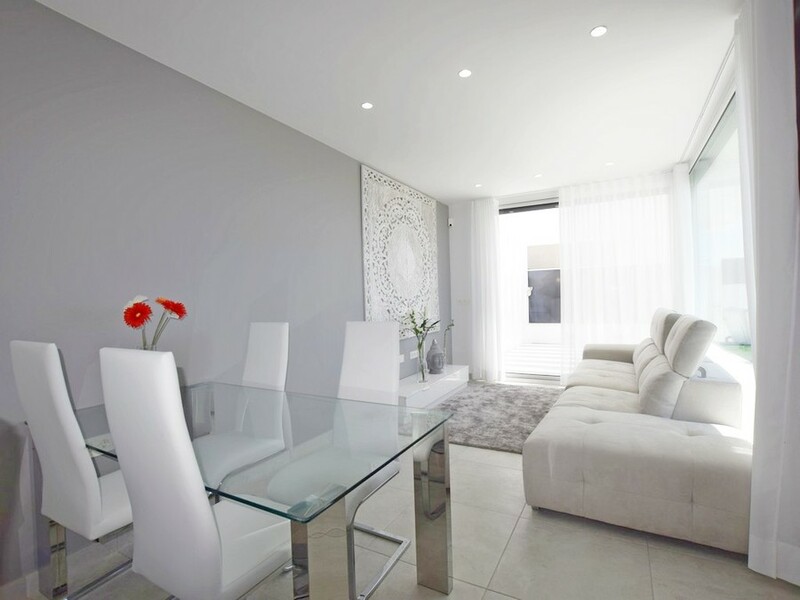 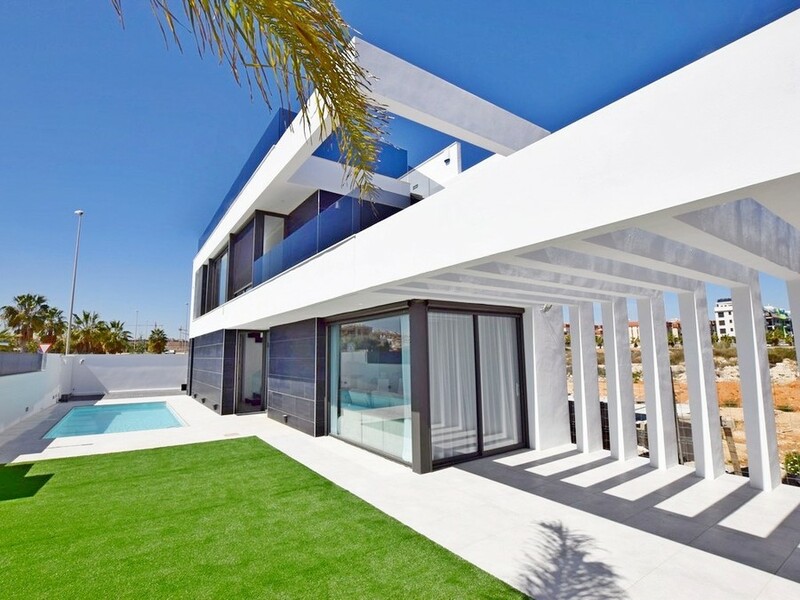 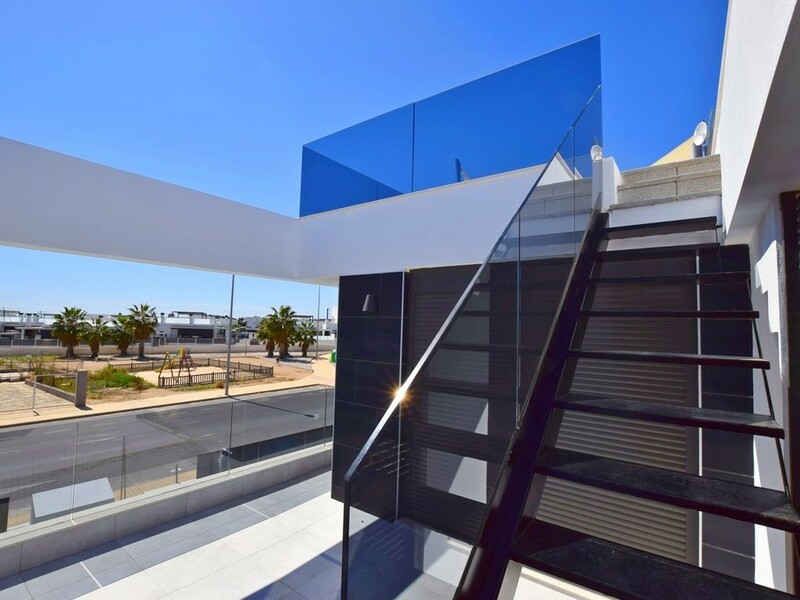 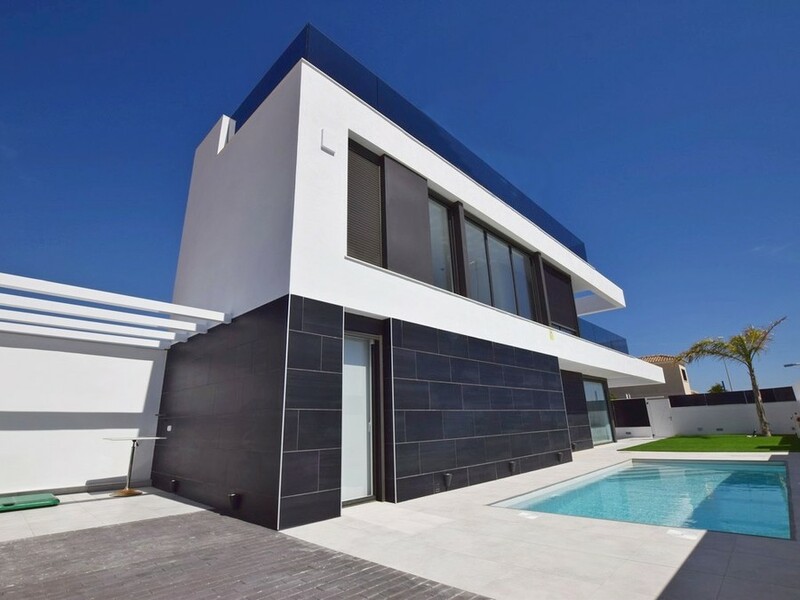 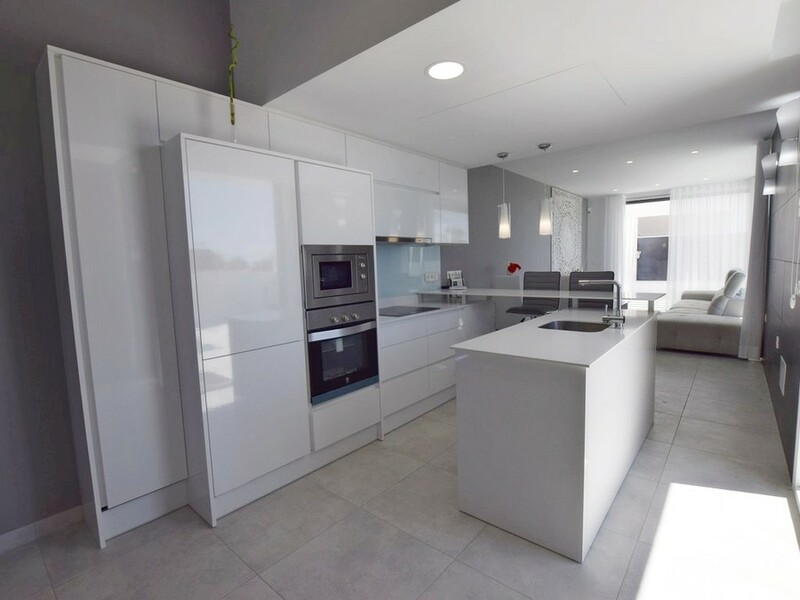 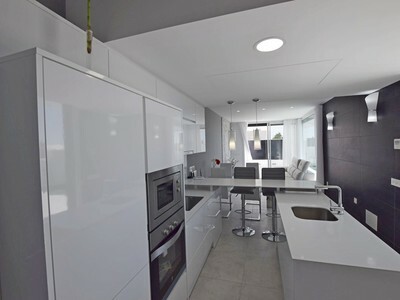 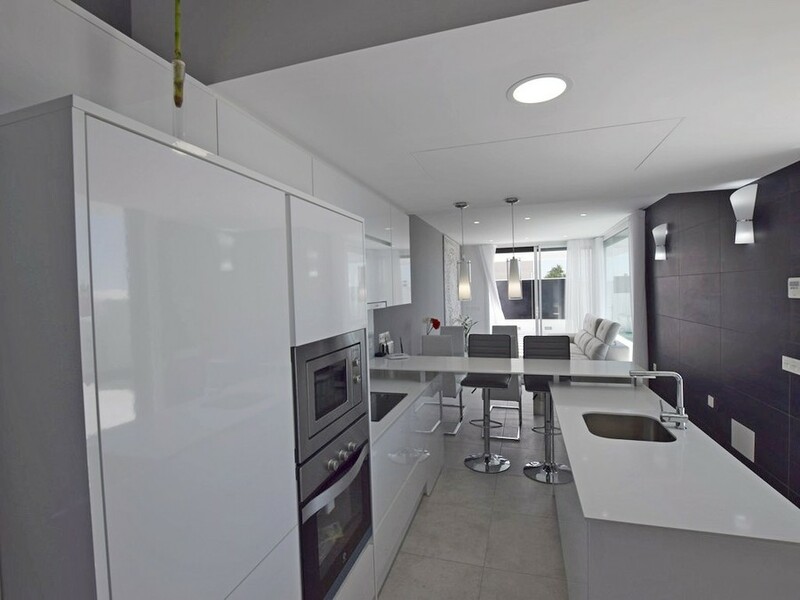 We are pleased to be able to offer this stunning new development of just 5 independent luxury sea view villas in Cabo Roig. Each villa sits in its own large, private plot, and comes with landscaped gardens and a private swimming pool. 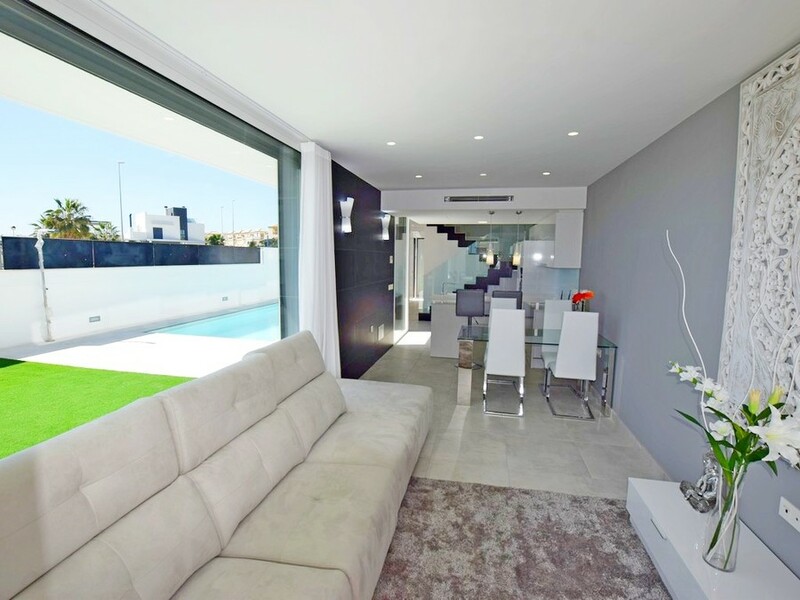 Inside there is an open plan main living, dining area, with sliding doors which open out to the garden and pool area, allowing you to extend your main living space. Back inside there is a modern kitchen which comes complete with a selection of appliances, and a breakfast area. 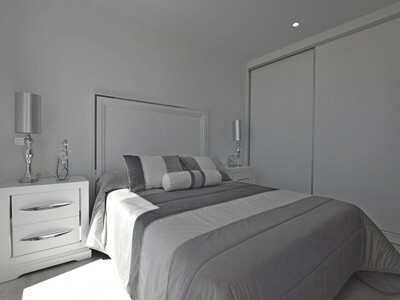 From here you come through to the ground floor bedroom, which comes with fitted wardrobes and access to the ground floor bathroom. 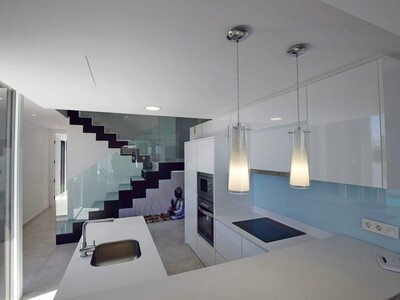 Up the feature glass staircase, there are 2 further spacious double bedrooms, again with fitted wardrobes, and these both benefit from having en-suite bathrooms. 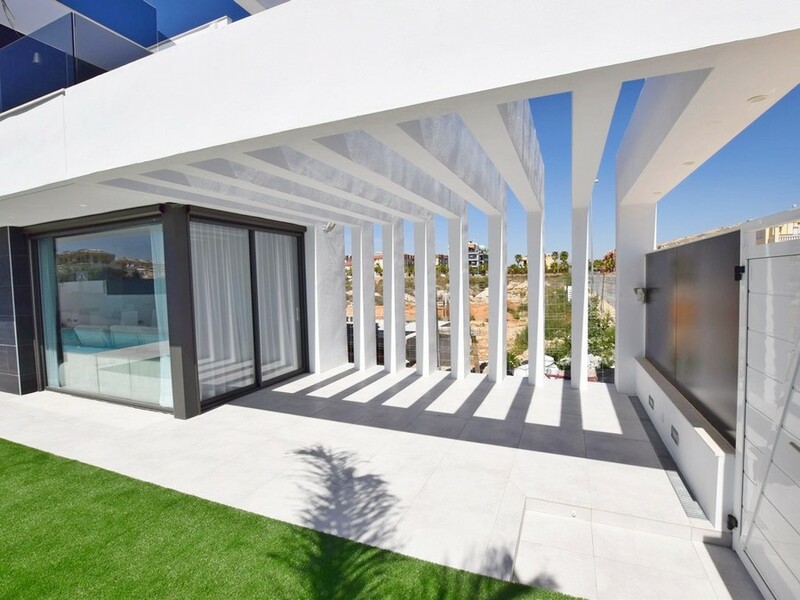 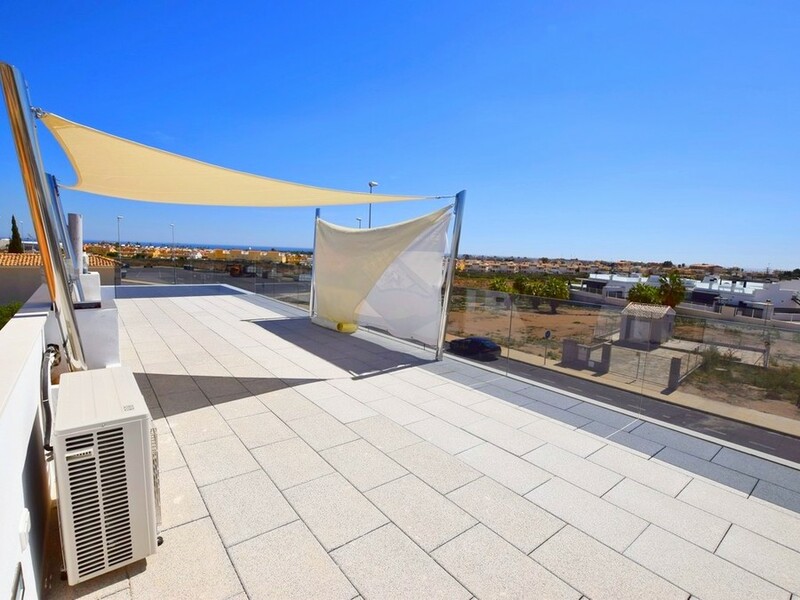 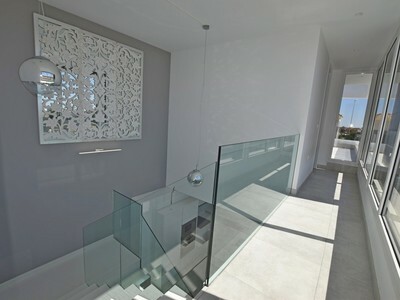 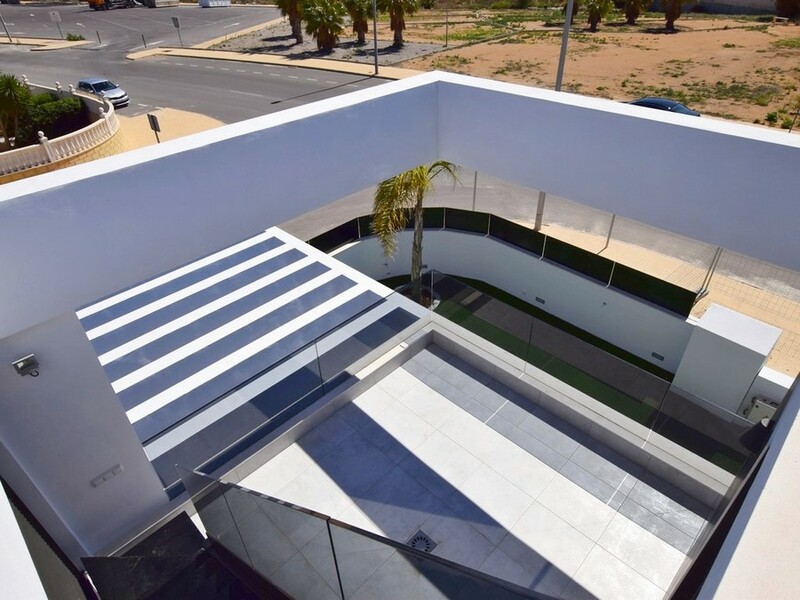 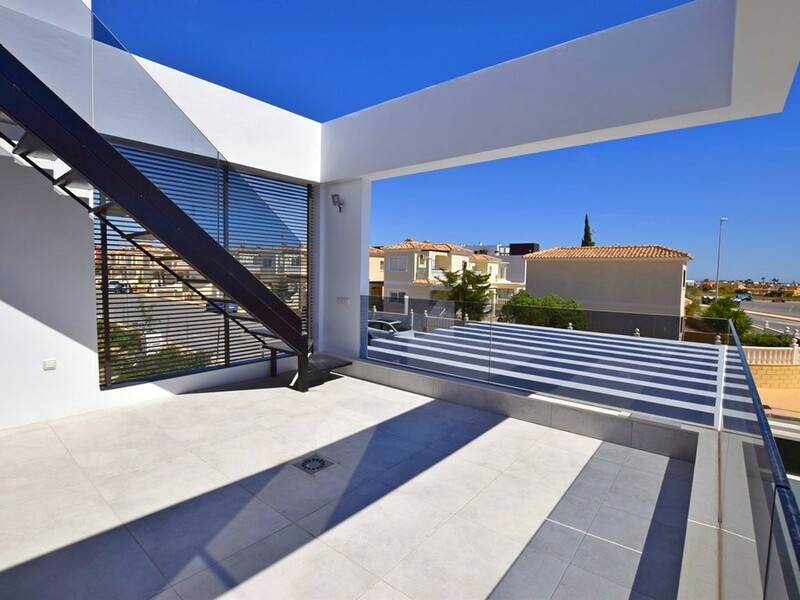 Across the glass corridor you can access the outside terraces and up to the rooftop solarium with stunning views out to the Mediterranean ocean. 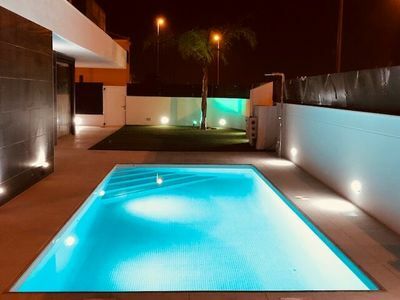 Viewing is highly recommended as these villas sit in a very desirable location with bars, shops, restaurants and more all just a few minutes from the villas.